Well, its getting closer now, the book is out on October 8 (115 days to go, eep) and today we posted the first batch of Jack’s pictures to the publishers. Our scanner is no match for the super computer they have in London so off goes all 251 pictures in a big brown box. Probably the most important piece of mail Jack (or I) will ever send. It cost a whopping £22! 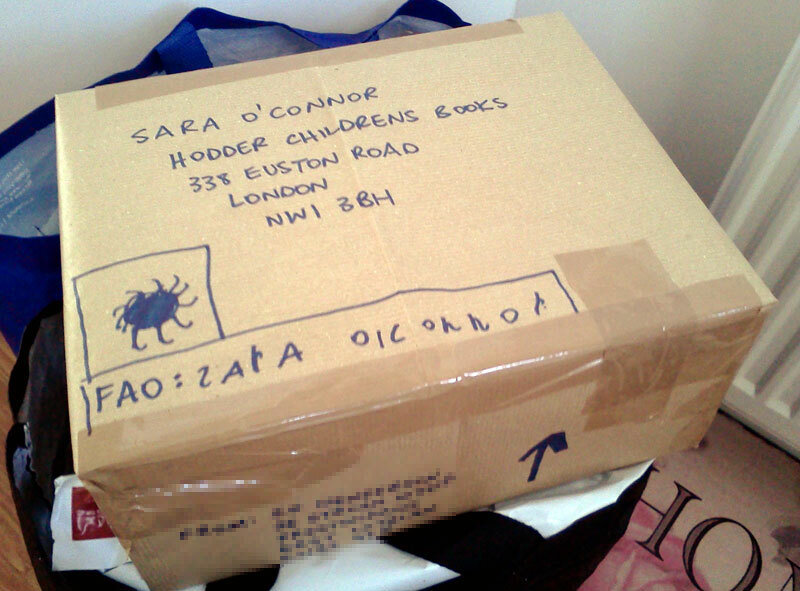 Jack wanted to write Sara’s name on the front and draw a hedgehog to keep the pictures safe. A guard hedgehog. Don't worry if your picture was not in the first 251, this is not the final cut off point. There will be another picture delivery heading to Londonshire in the next few weeks.